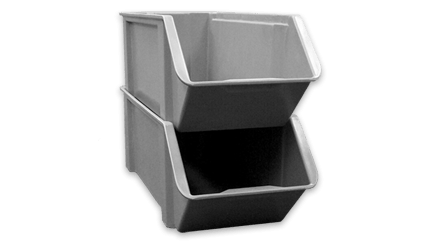 MFG Tray hoppers are ideal storage containers for small parts, components, fasteners and prepackaged goods. Canted fronts facilitate access to parts, and stacking design conserves valuable space in the work area. Composite construction ensures strength and dimensional stability and eliminates corrosion, bending or end-product contamination.